The Republic of Benin and Seychelles have ended this year in the top spot of the Africa Visa Openness Index Report 2018. 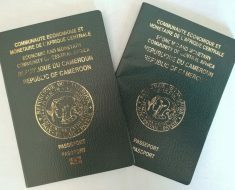 According to the report, Benin introduced a visa-free policy for all nationals of African countries, joining Seychelles in the category of most visa open nations on the continent. The Visa Openness Index assesses the progress African countries have realized in relaxing their visa regimes. Overall, Africans do not need a visa to travel to 25% of other African countries (up from 22%). Visas on arrival can be obtained in 24% of other African countries (same as last year). The index, developed by the African Union and the African Development Bank, shows that African countries are becoming more open to each other. As infrastructure expands across Africa, and tangible trade and investment opportunities are put on the table, Africans will need to travel with greater ease. Solutions such as the African passport, visa-free regional blocs, multi-year visas, or visa-on-arrival schemes should continue to be promoted, the report reads in part. The top ten of the most open countries include: Seychelles, Benin, Rwanda, Togo, Guinea-Bissau, Uganda, Ghana, Cape Verde, Kenya, and Mozambique. The report also said 2018 is a landmark year in Africa’s regional integration efforts, especially with the launch of the African Continental Free Trade Area and the Single African Air Transport Market. Posted by Khalid Al Mouahidi on November 30, 2018. Filed under Business. You can follow any responses to this entry through the RSS 2.0. Both comments and pings are currently closed.